This morning after breakfast drive to Kargil. On arrival check into your hotel. en route you visit the most beautiful Buddhist village will be Mulbek. We have to cross the highest pass (Fotula 13749 ft.) on Srinagar Leh route. And the Lamayuru oldest Monastery. Stay overnight at Hotel in Kargil. This morning after breakfast drive to Srinagar. On arrival check into your houseboat. en route you visit the most beautiful Sonmarg (2740 Mtrs) you will driver through rough road and wet Zojila pass 3527 Mtrs (Gateway of Ladakh).place link Drass, Tiger Hill, Stay overnight at Houseboat in Srinagar. This morning after breakfast you will drive to Gulmarg. which is one of the most beautiful summer resort in the valley. It is also popular for its highest golf course in the world and skiing during the winter season. One can have Gondola ride (cable car) from Gulmarg to Khalinmarg. In the evening. Return to your houseboat. 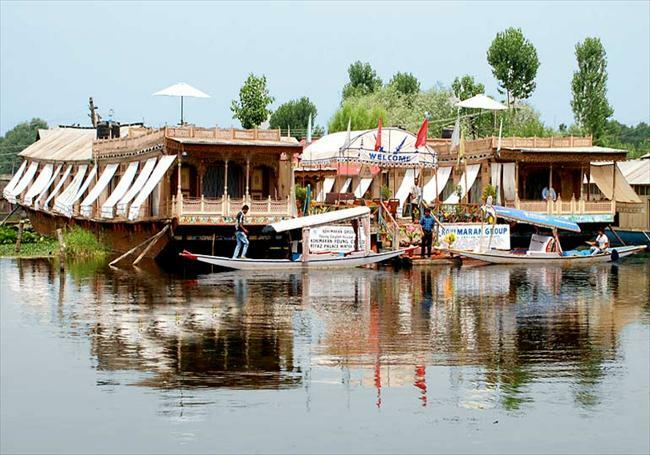 Stay overnight at Houseboat in Srinagar. * 3 Nights accommodation in Ladakh hotels with breakfast & dinner on twin sharing basis.